To tell you a little bit more about me and my background, when I am not working, I spend most of my time playing golf. I like competitively playing in local and statewide tournaments. I enjoy being a member of the Tennessee Golf Foundation which is responsible for all junior and adult amateur events in the state. I am also a member of the Nashville Sports Council. In 2006 I founded Capitol Strategy Group, a company that provides government relations expertise to businesses and professional organizations in Tennessee. I have managed and provided consulting advice for numerous political campaigns both nationally and in Tennessee. Formerly, I was elected Property Assessor and have been a candidate for the United States Congress. On a more personal note, I am happily married and have three adult children. Randall (Randy) Button, MAI, SRA, AI-GRS has more than thirty years of experience as an appraiser and valuation consultant. Assignments have included diverse residential and commercial properties throughout the southeastern US. Recently, his primary emphasis has been on commercial review appraisals for financial institution compliance. Litigation and complex condemnation assignments have continually been an area of emphasis for him. Randy Button is a Designated Member of the Appraisal Institute and is affiliated with the Greater Tennessee Chapter. 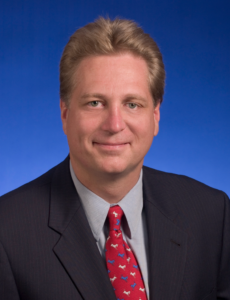 He is a State Certified General Real Estate Appraiser in Tennessee and holds certification number CG-03. Other licenses include a current Real Estate Broker license and registration to practice property tax appeal in Tennessee. He has previously been licensed as a General Contractor, which is currently in temporary retirement. Randy is a member of the International Right of Way Association, which is the predominant organization, associated with condemnation appraisal practice. Tennessee Department of Transportation has pre-approved him to complete appraisal assignments for transportation projects. Pre-approval has also been granted to complete FHA appraisal assignments for the US Department of Housing and Urban Development.